Birds are so fascinating and I am really I interested in bird photography. Therefore I’ve decided to start a new series of weekly posts consisting of a photo or two that I’ve taken in the past of a specific bird along with some interesting facts about the specific bird using information obtained from the Internet and/or books. Because I am still a novice in birding as well as bird photography, please feel free to comment or correct any of the facts present/posted on any of the posts in this series. I hope you will enjoy the ride with me. 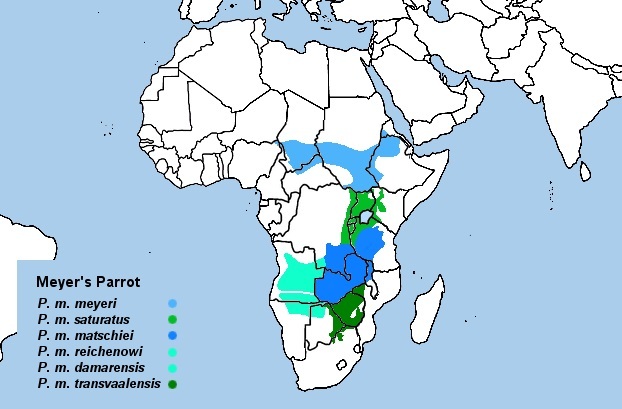 Meyer’s parrots is slight smaller than a dove and they are native to the plateau woodlands of sub-Saharan Africa where they occur in several woodland types. 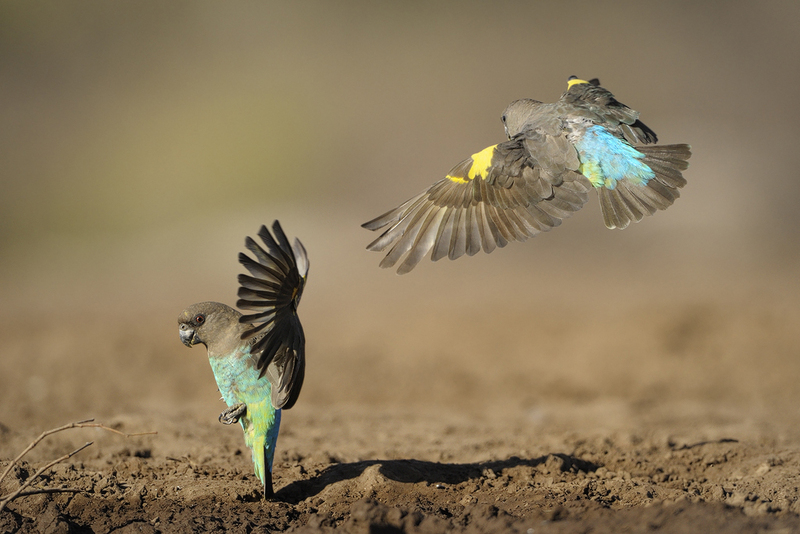 Meyer’s Parrots are still common in the wild, although numbers have decreased locally following destruction of woodlands. Their wild diet includes fruits, seeds, nuts, berries and cultivated crops. Although they normally travel in pairs or small flocks, wild Meyer’s Parrots may gather in much larger numbers where food is plentiful. The Meyer’s parrot nests in tree cavities. The eggs are white and there are usually three or four in a clutch. The female incubates the eggs for about 28 days and the chicks leave the nest about 60 days after hatching (Wikipedia). Until next week – keep an eye on the birds but please do not stop shooting. This entry was posted on January 7, 2014, 6:53 pm and is filed under Willem's Weekly Bird Photography blog. You can follow any responses to this entry through RSS 2.0. You can leave a response, or trackback from your own site. Willem, you are a truly remarkable photagrapher. Congratulations on a a year so well done. May 2014 be a very fortunate photography year with many great and wonderful sightings. Enjoy every moment. Thanks Bessie, and I will enjoy it.